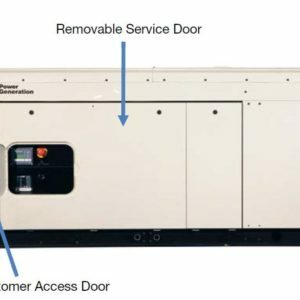 EPA CERTIFIED FOR NON-EMERGENCY APPLICATIONS: Generac’s Response Series generators are the first air-cooled generators to be EPA certified for non-emergency applications. 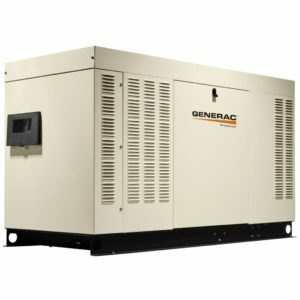 This allows energy alliance partners to capitalize on the benefits a Generac Response series home standby generator can offer. INNOVATIVE ENGINE DESIGN & RIGOROUS TESTING are at the heart of Generac’s success in providing the most reliable generators possible. Generac’s G-Force engine lineup offers added peace of mind and reliability for when you need it the most. The G-Force series engines are purpose built and designed to handle the rigors of extended run times in high temperatures and extreme operating conditions. 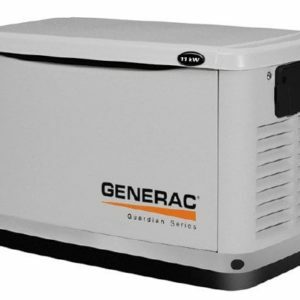 SOLID-STATE, FREQUENCY COMPENSATED VOLTAGE REGULATION: This state-of-the-art power maximizing regulation system is standard on all Generac models. It provides optimized FAST RESPONSE to changing load conditions and MAXIMUM MOTOR STARTING CAPABILITY by electronically torque-matching the surge loads to the engine. Digital voltage regulation at ±1%. TRUE POWERTM ELECTRICAL TECHNOLOGY: Superior harmonics and sine wave form produce less than 5% Total Harmonic Distortion for utility quality power. This allows confident operation of sensitive electronic equipment and micro-chip based appliances, such as variable speed HVAC systems. GENERAC TRANSFER SWITCHES: Long life and reliability are synonymous with GENERAC POWER SYSTEMS. 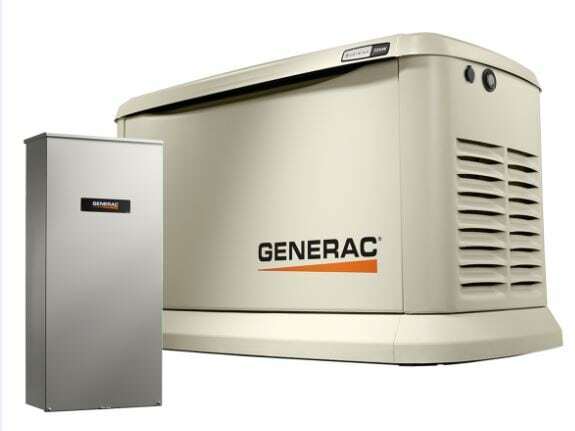 One reason for this confidence is that the GENERAC product line includes its own transfer systems and controls for total system compatibility. * Assembled in the USA using domestic and foreign parts.16/22 kW features and benefits. Generac G-Force design Maximizes engine “breathing” for increased fuel efficiency. Plateau honed cylinder walls and plasma moly rings helps the engine run cooler, reducing oil consumption resulting in longer engine life. “Spiny-lok” cast iron cylinder walls: Rigid construction and added durability provide long engine life. Electronic ignition/spark advance: These features combine to assure smooth, quick starting every time. Full pressure lubrication system: Pressurized lubrication to all vital bearings means better performance, less maintenance and longer engine life. Now featuring up to a 2 year/200 hour oil change interval. Low oil pressure shutdown system: Shutdown protection prevents catastrophic engine damage due to low oil. High temperature shutdown: Prevents damage due to overheating. EPA Certified for Non-Emergency Applications: Allows the unit to be used for demand response applications. Revolving field: Allows for a smaller, light weight unit that operates 25% more efficiently than a revolving armature generator. Skewed stator: Produces a smooth output waveform for compatibility with electronic equipment. Displaced phase excitation: Maximizes motor starting capability. Automatic voltage regulation: Regulates the output voltage to ±1% prevents damaging voltage spikes. UL 2200 listed: For your safety. Fully automatic: Transfers your vital electrical loads to the energized source of power. NEMA 3R: Can be installed inside or outside for maximum flexibility. Remote: mounting Mounts near your existing distribution panel for simple, low-cost installation. Auto/Manual/Off illuminated buttons: Selects the operating mode and provides easy, at-a-glance status indication in any condition. Two-line LCD multilingual display: Provides homeowners easily visible logs of history, maintenance and events up to 50 occurrences. Sealed, raised buttons: Smooth, weather-resistant user interface for programming and operations. Utility voltage sensing: Constantly monitors utility voltage, setpoints 65% dropout, 80% pick-up, of standard voltage. Generator voltage sensing: Constantly monitors generator voltage to ensure the cleanest power delivered to the home. Utility interrupt delay: Prevents nuisance start-ups of the engine, adjustable 2-1500 seconds from the factory default setting of 5 seconds by aqualified dealer. Engine warm-up: Ensures engine is ready to assume the load, setpoint approximately 5 seconds. Engine cool-down: Allows engine to cool prior to shutdown, setpoint approximately 1 minute. lower fuel costs to the owner. Smart battery charger: Delivers charge to the battery only when needed at varying rates depending on outdoor air temperature. Compatible with lead acid and AGM-style batteries. Main line circuit breaker: Protects generator from overload. Electronic governor: Maintains constant 60 Hz frequency. SAE weather protective enclosure: Sound attenuated enclosures ensure quiet operation and protection against mother nature, withstanding winds up to150 mph. Hinged key locking roof panel for security. Lift-out front for easy access to all routine maintenance items. Electrostatically applied textured epoxy paint for added durability. Enclosed critical grade muffler: Quiet, critical grade muffler is mounted inside the unit to prevent injuries. Small, compact, attractive: Makes for an easy, eye appealing installation, as close as 18″ away from a building. 1 ft (305 mm) flexible fuel line connector: Absorbs any generator vibration when connected to rigid pipe. Direct-to-dirt composite mounting pad: Complex lattice design prevents settling or sinking of the generator system. Integral sediment trap: Prevents particles and moisture from entering the fuel regulator and engine, prolonging engine life.